Grammar Giggles – Hey Red Sox, Stick to What YOU’RE Good At! Pulled this one from Twitter. Your and you’re are confusing to people. Just remember that if the sentence should read “If you see this, you are in second,” then use you’re–which is the contraction of you and are. 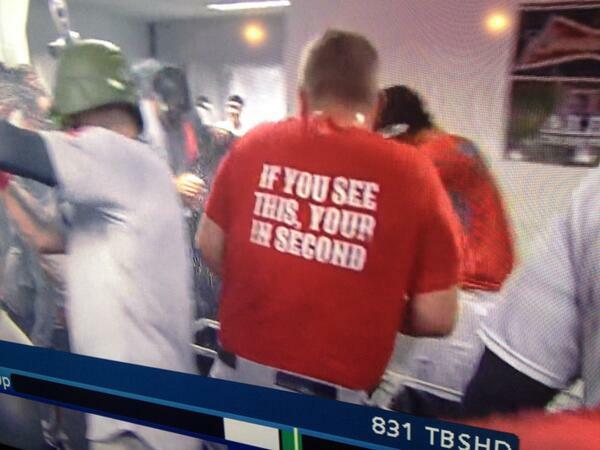 If the sentence should be “If you see this, your second base is showing,” it means that second base belongs to you. Pretty simple if you think about it for a minute or two–so please do!